Bruce Peale Ryder, a lifetime resident of Lancaster, PA died August 24, 2010 at Moravian Manor. Born on September 17, 1923, he was the son of the late Paul B. and Elizabeth Peale Ryder. He lived at 504 Race Ave., Lancaster, PA his entire life. Mr. Ryder was a member of First Presbyterian Church since 1934 and served as Deacon, Trustee (Chairman) and Elder. He graduated from Franklin & Marshall Academy, Lancaster, PA in 1940; Franklin & Marshall College in 1946 where he belonged to Sigma Pi Fraternity and Phi Beta Kappa and was the winner of the Williamson Medal. He also graduated from Harvard University Law School in 1948. He served in the First U.S. Infantry Division (18th Reg.) from 1943-1945, stationed in Sicily, England, France, Belgium, Germany and Czechoslovakia. A Technical Sgt. (Personnel Sgt. Major), he landed in Normandy three days after D Day. He was awarded the Bronze Star, Combat Infantry Badge and five Battle Stars. After being admitted to the Bar in 1949, Mr. Ryder associated with Arnold, Bricker and Beyer from 1949-1953. He then associated with Alfred C. Alspach and the firm of Alspach and Ryder LLC from 1953-2007. The practice primarily involved Wills, Estates, Orphans’ Court Adoptions, Real Estate and Corporations. He was a member, Treasurer and later President of the Lancaster County Bar Association, and a member of the American Bar Association. He was also a former member of the American College of Trust and Estate Council. His civic activities included: member of City Charter Commission from 1962-1963; Director of City Charter Study Commission in 1964; Executive Director of Lancaster County Home Rule Study Commission in 1972. He was a member of the Adjunct faculty, Franklin & Marshall College, teaching Business Law from 1956-1978. Mr. Ryder also associated with the following Organizations, including Donegal Society (President); Lancaster County Community Foundation; Lancaster County Historical Society (Secretary and Trustee Emeritus); James Buchanan Foundation for the Preservation of Wheatland (President); Hearing Conservation Center; Edward Hand Medical Heritage Society; Lancaster Chapter American Red Cross; Lancaster YWCA (Trustee); Lancaster Guidance Clinic; Bureau of Children’s Services (Chairman Citizens Advisory Committee); Lancaster Higher Education Authority (Chairman); Cliosophic Society; Pirates; Sphinx; Hamilton Club; Lancaster Chapter AMBUCS (Treasurer). He was awarded the Good Government Award of the Lancaster Chamber of Commerce in 1964 and the Louise Gatking Herr Memorial Award of the Lancaster Bar Association in 2004. His avocation was to travel to “off the beaten path destinations” including Swans Island, Maine; North Shore-St. Lawrence River; Nova Scotia; Alaska; Honduras; National Parks of Colorado and Utah; Caribbean; Mexico; Germany; Spain; Belgium; England; Switzerland; Italy; Poland; Egypt; Greece; Peru; Brazil; Danube River; Romania; Africa; Martinique; Guatemala; Mali (Timbuktu); Morocco; Iran; Afghanistan; Nepal; Dahomey; Cameroons; Zaire; Nevis, Australia; New Guinea; India; Bhutan; Yemen; Indonesia; China; Hunza (Pakistan); Ladakh (India); Turkey; Borneo; Malaysia; France; Portugal; Laos; Thailand; Malta; Sardinia; Corsica; Belgium; Ecuador; Galapagos; Tunisia; Syria; Cyprus; Sicily; Argentina; and Chile. His survivors include several cousins. 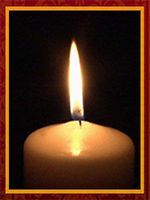 Relatives and friends are respectfully invited to attend a Memorial Service at First Presbyterian Church, 140 E. Orange St., Lancaster, PA on Saturday, September 11, 2010 at 11:00 A.M. with the Rev. Dr. Randolph T. Riggs officiating. Private interment in Conestoga Memorial Park. In lieu of flowers, contributions in Mr. Ryder’s memory may be made to First Presbyterian Church of Lancaster, 140 E. Orange St., Lancaster, PA 17602 or to the Lancaster County Historical Society, 230 N. President Ave., Lancaster, PA 17603.